The Quantum1Net Decentralized Service Platform, has three distinct types of nodes, Client Node, Service Node and Relay Node. Home » Blog » The Quantum1Net Decentralized Service Platform, has three distinct types of nodes, Client Node, Service Node and Relay Node. The Client Node, a wallet with an API, the entry point to the platform, the Service Node is where services interact with the platform, and the Relay Nodes will try to setup direct connections between a client node and a service node but if that is not possible, the Relay Nodes in the Mesh will relay the data from the Client Node to to the Service Node and back. A Client Node can work with any service through the API, so chat, web, email, banking, and social media apps can all intergrade with Quantum1Net to have faster delivery by optimized routing in the overlay, and be Quantum Safe. 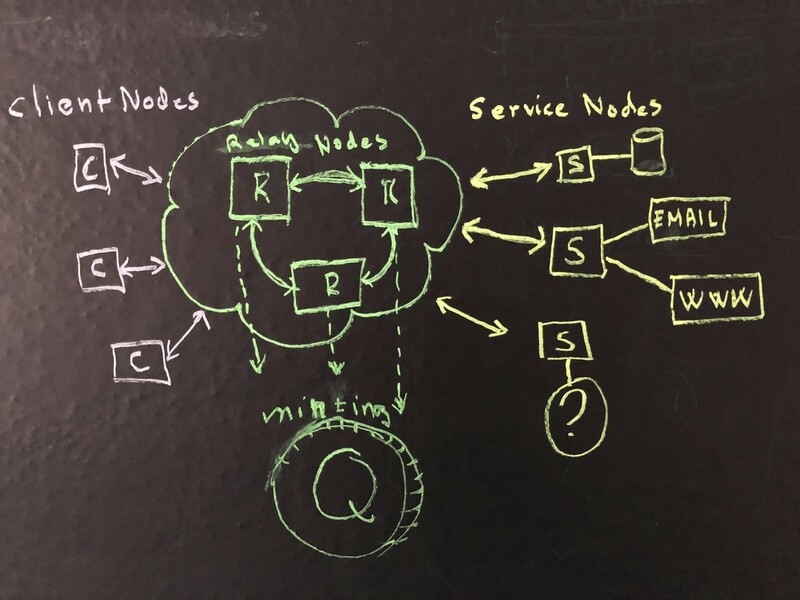 Service Nodes exist in two variants, one where the provider of the node gets paid the let any user on Quantum1Net “exit”, the platform through their node, and when a service provider pays the platform to have their service available for their users on Quantum1Net. The Relay Nodes makes up the core Mesh of the platform and provides the cloud functionality, the relay nodes also Mints Quantum1Coins for their owners, by achieving a level of “trust” in the Mesh, any owner of a Relay Node will start minting Quantum1Coins.